Vancouver chipmusic society presents a series of workshops geared towards learning the art of chiptune – using obsolete gaming systems to make music! 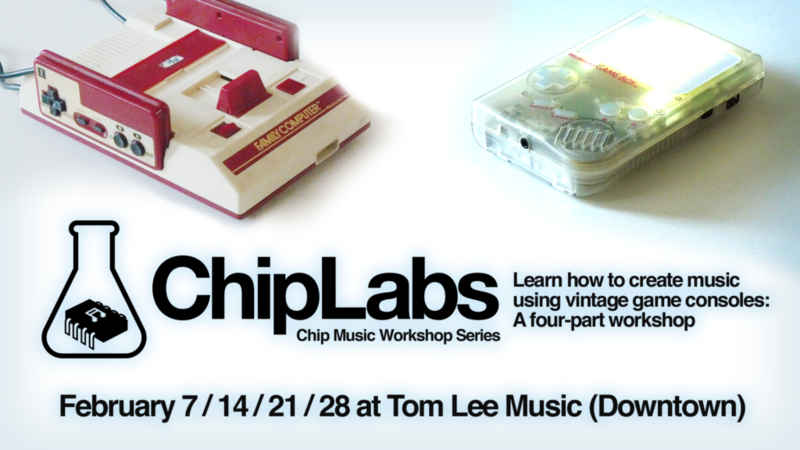 In this 4-part workshop series you’ll learn about the various approaches to chip music – whether using real gaming hardware by itself, or by incorporating the style into a modern music production setup. 1) What kind of knowledge is required? – Some knowledge of basic music theory (Scales, Notes, Key/Time signatures, transposing) is recommended. – If you have your own game boy, bring it! otherwise, a Windows/Mac laptop and/or an Android phone is recommended, to be able to run emulated versions of the chiptune software. 3) How do I sign up for the event? The $20 fee will grant you priority admission to each of the 4 sessions! 4) Can I pop by into individual sessions? 5) Can I bring my kids?